There is no escaping the highlighting phenomenon that has everyone reaching for the shimmer to achieve that perfect, sun kissed look. With so many on the market it could become such a daughting task to find the right highlighter for you! I know I definitely had this problem a while back. I'd pick up some of the best recommended products only for the swatch to look SUPER INTENSE and chalky on my skin. 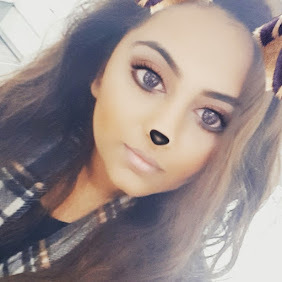 After battling with icey white shades, purple toned shimmers and pinky pastels I think I've cracked it and found some of the best highlighters on the market for us Indian skin toned ladies! Let's start with the Cult Classics by The Balm. I picked these up about a year ago at the Olympia Beauty Exhibition for a steal of a price after hearing raving reviews on the pigmentation and colour payoff of this pair! Starting with the Betty Lou Manizer - This has got to be one of the best suited highlighters to ladies of my shade. The deep bronzed specks looks so natural on deeper skin tones and provide the perfect amount of shimmer without being over bearing. 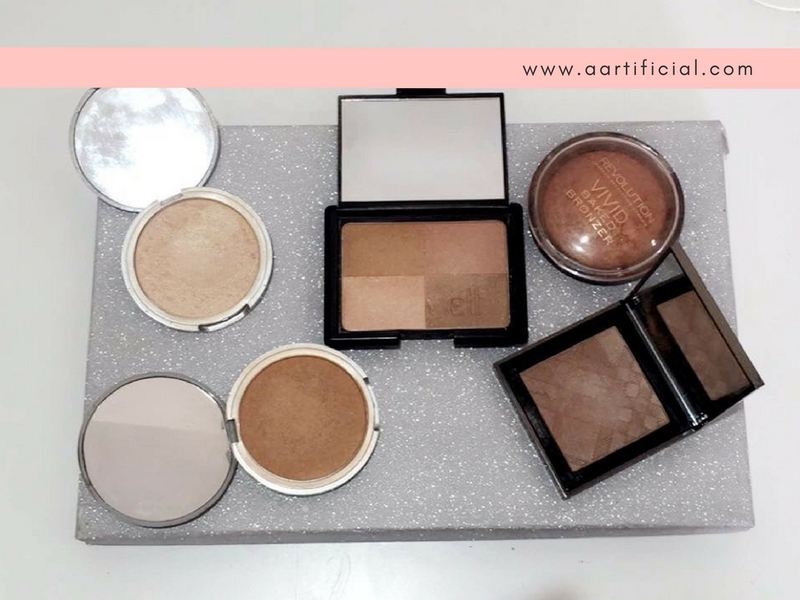 Where this could look way too intense on those of you with paler skin, it can easily double up as a bronzer (but personally I try to avoid bronzers with THIS much glitter!). Betty's lovely sis Mary Lou-Manizer is the more universal shade of the two as I can see this working for girls with both darker and lighter. With a pinkier undertone it can add a sweep of shimmer or built up for an eye catching highlight. I now move on to the Elf Cosmetics - Golden Bronzer, and seeing from my swatch I know "golden" isn't the word that would usually come to mind but this bronzer comes in a quad of 4 different shimmer shades which can be used individually or swirled together to get the shade you can see in my swatch. 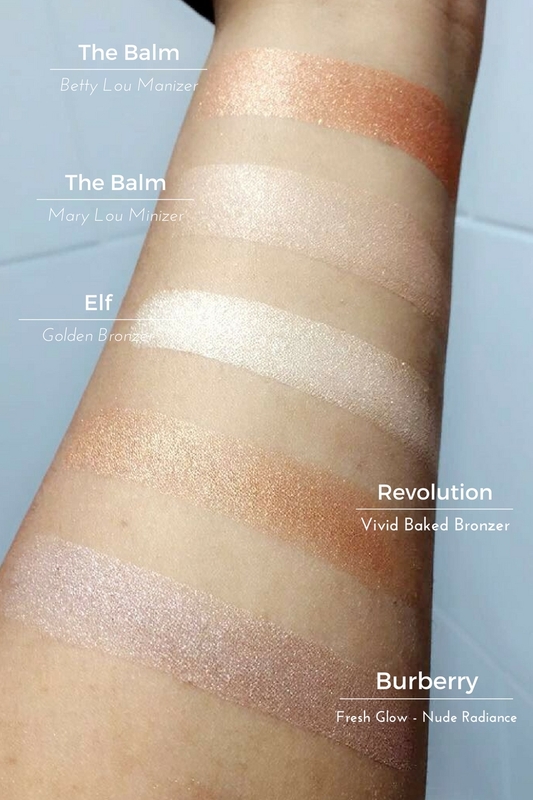 Personally, you'd probably agree the combined swatch is a little (way) to icey for my darker skin tone but each shade individually works so well! I love the fact I can play around different intensities and each shade doubles up as amazing shimmer eye shadows! You can see each shade in the picture below. You guys know I am SUCH a huge fan of the drugstore and I swear by brands like MUA, Freedom and Collections so when I spotted this bad boy on the Make Up Revolution stand I was sold from my very first swipe! Firstly, the colour pay off and pigmentation of this highlighter is out of this world. The swatch above was from one quick application and this highlighter does.not.budge! As for the colour, again it's that lovely bronzey natural shimmer that I think would work perfectly on women with deeper skin tones without being as intense as the Betty Lou Manizer. For the bargain price of £4.00 and such a huge pan this is going to last you ages and you'll really get your money's worth! Lastly, but most definitely not least is the Burberry - Fresh Glow Powder in Radiance! As the most expensive product of the bunch, I think it's not as much of a cult classic as the others may be or may become but I really wanted to mention this as I've fallen in love with it! I don't usually tend to gravite to such purpley tones when looking for a highlighter but this one has me converted! Putting aside the amazing packaging that all Burberry products come in - I was so impressed by the formulation of this highlighter as it really gives a "Fresh Glow". The sparkles in the highlight are so finely milled so doesn't look over the top or too much. With one application this highlighter sits perfectly on top of my make up without being too offensive or glittery! Definitely worth adding to your Wishlists!! 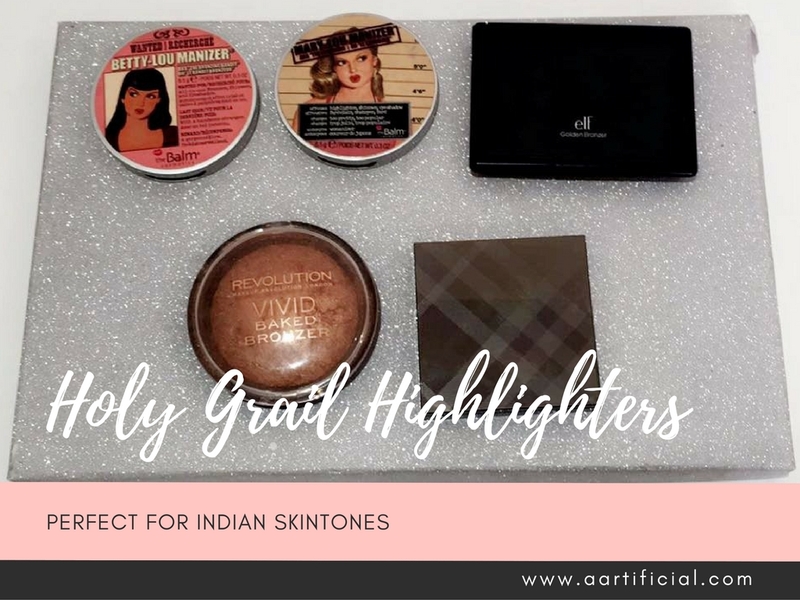 My round up of some of my favourite Holy Grail Highlighters for women with Indian Skin Tones like mine! I would love to hear what your go to highlighters are and whether you're fans of some of the same ones as me.